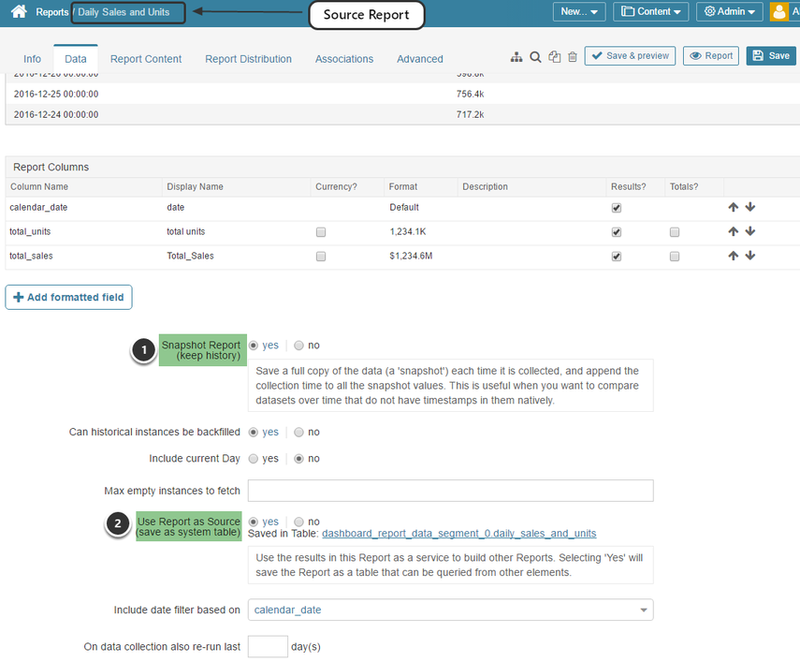 Data that has already been uploaded or collected for a Report can be used to create a new Report. The Data Source "Existing Reports - SQL" allows you to do this. It is necessary to construct a fetch command that collect data from the source Report. Alternatively, see Source a Report from Metrics for more details as the additional steps are the same. 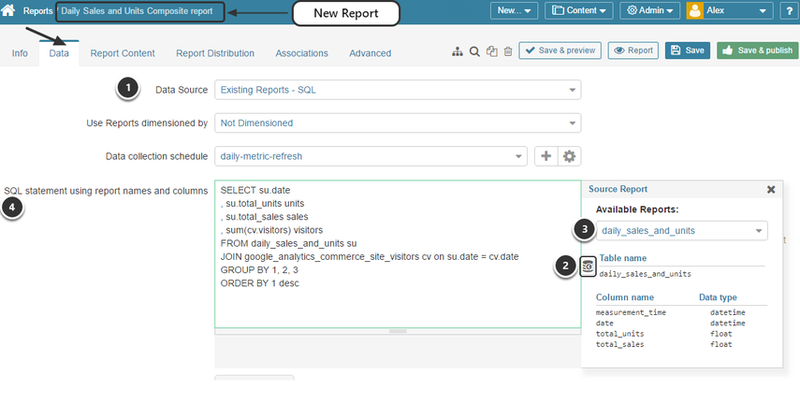 Data Source: select "Existing Reports - SQL"
Open the Available Reports drop-down list to select a source Report and view its associated fields. The criteria for turning any Report into a source for other Reports is listed in the Step below. NOTE: Approach constructing the fetch command in the same manner as sourcing a Metric from an Existing Report (see Source a Metric From an Existing Report). Use Report as Source = "Yes"